June 29-July 21 join Crows Feet Commons for your summer time morning ritual and the 100th anniversary of the Tour De France. Morning drink specials and happy hour rebroadcast specials. In addition to daily broadcasts, each Monday night they will show a Tour De France specific movie. 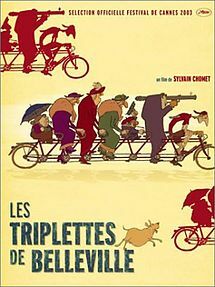 The Triplets of Belleville, A Sunday in Hell, Overcoming and others to increase your stoke for guys riding close together in tight clothes…. Rockin’ the Hits. In High Heels.